Summer is here! Congratulations on the completion of another academic year, and I wish you a truly enjoyable and fulfilling summer. I wanted to update you on a few important summer events and issues, especially as they pertain to our new De La Salle families. Current students can find their report cards on Edline. For our new families, friendly reminder to submit final report cards to [email protected]. Please be reminded that De La Salle is instituting a mandatory service-hours program for all 2017-18 sophomores and juniors. We are truly excited about providing this opportunity to serve our various community organizations, and we look forward to witnessing the impact of this service on both our community and our students. Mrs. Perry Rogers will coordinate this program, and any questions should be addressed to Mrs. Rogers by email at [email protected]. Please visit our website and go to the “students” tab for more details. Student schedules are typically mailed home in the first week of July. We will provide detailed instructions regarding any scheduling discrepancies at this time. 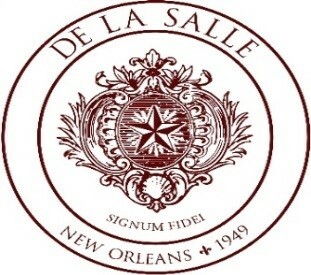 Please be sure to read all documents sent home at that time, as information on all things De La Salle will be included. Please stress to your child that he/she has one book to read this summer. The summer book assignments are listed on the De La Salle website, www.delasallenola.com, under the “students” tab for each grade level. (There is no One Book for Justice book to read this summer; we will be offering a different assignment which we will share with students when they return in August). Throughout June, Inka’s and Skobel’s are offering a 10% discount on everything in-store. Ponseti’s Shoes is offering a 10% discount during the entire month of July. Uniform purchase is also available at Schiro’s. When you receive your child’s schedule in early July, please remember to visit www.mbsdirect.net to order his/her books for next year. Although we will provide state textbooks for some subjects, many classes use workbooks and non-state textbooks that must be ordered through MBS. Instructions from MBS for ordering these materials will be sent to you in the July mailing. MBS opens on the 17th of July and is offering free shipping from July 23rd through July 29th, and we highly recommend you take advantage of this offer. We wish you and your family a peaceful and enjoyable summer. Take care, and may God bless you and yours.